The rule of thumb in screenwriting is that you’ve got ten minutes to get all of your pieces in place. In a mere ten pages you must set up your characters, their motivations, conflicts and the big problem they’ve got to overcome. An efficient writer can pull this feat off even faster. The brilliant ones do it in style; like the Coen Brothers in Raising Arizona, they can cram all that work into a brilliant (admittedly longer than ten minutes) pre-credits sequence. Or a clever screenwriter can break the rules a la Quentin Tarantino or Christoper Nolan and twist the narrative so that the setup is buried somewhere towards the end of the picture, forcing the viewer to puzzle out the whys and wherefores as they watch the player react to complications. It makes sense that games, which are usually longer than a movie’s 120 minute running time, can afford to be more leisurely. Or can they? I’ve heard more than a few people complain that Persona 4: Golden takes hours before you get to the “actual game,” and I have to admit that I roll my eyes every time a JRPG subjects you to the lazy info-dump of a Star Wars-style intro scroll. I do love when a game gets down to business. Ages ago, Tim Rogers wrote an excellent unpacking of the first screen in Super Mario Bros. – it takes no tutorial or cutscene to tell you that it’s an enemy moving toward you from the sinister left. With efficiency in design everything is laid out. Move right. Jump and squash or die. Even those bricks are cleverly placed just so that you’ll discover what happens when you bump them with your head. The opening moments of Portal do brilliant narrative and tutorial work – immediately setting the stakes (you’re a prisoner), the tone (sardonic) and the rules (portals break nature’s). 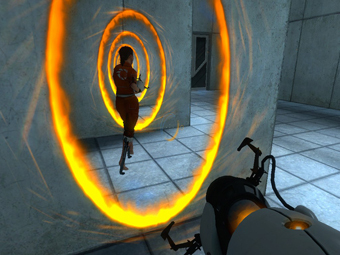 There’s a fascinating tension in the beginning of Portal. There’s nothing you want more than to explore and, though the portal gun seems to free you from the tyranny of space, you’re still a rat in a maze. Not free at all. And yearning desperately to see and learn more. When you’re in the hands of an assured world builder sometimes you just want to take your time and soak. I can’t be the only person who wished that there wasn’t all that pesky shooting and killing to get in the way of my exploration of Rapture. 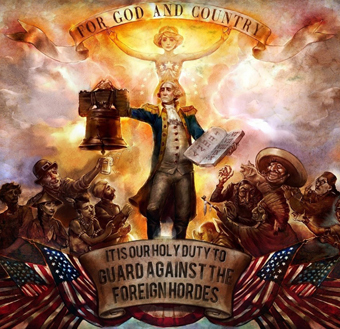 That’s why I so thoroughly enjoyed the first hour of BioShock: Infinite – a game that leisurely introduces the player to a fantastic city in the sky where religion, under the sordid influence of prejudice, has metastasized into something grotesque and evil. There’s so much to take in. 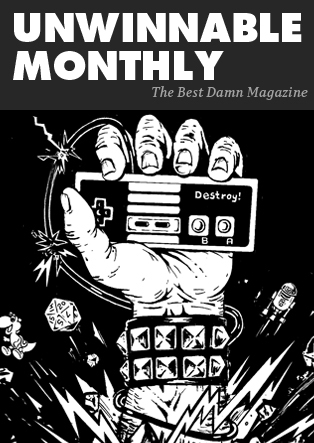 Games have the luxury of time. While it is admirable that many find clever ways to get out of the way and facilitate play I can’t help but admire those with the gall to lay foundation. Those opening moments of Persona 4 – all that story stuff before you ever crawl a dungeon – do important work. Fans of The Simpsons often scoff at the first season of the show, which spent more time telling James L. Brooks-style stories about the defective family unit than cracking jokes. But I wonder, if we’d never had that first year of so of touching tales about Homer, Marge and Lisa, if we’d have cared enough to stick around through those zany, comedically daring non-sequitur years. The Family Guy never bothered to lay that groundwork and skipped straight to the joshing. I’ve never been able to connect with that show. Family Guy feels soulless and mean because it never bothered to earn anything. That first hour of Persona 4 – all the scene setting and character building – is game all right. And it might just be the most important part.